I Like the applicator of this product. The felt tip is really great when applying, It was just the right size to allow for precision. It is super pigmented and glides on easily. 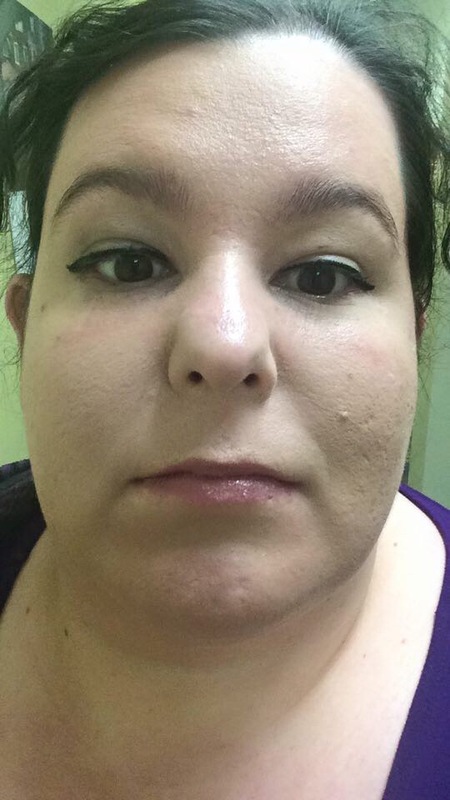 I have hooded eyes so once I got my line on I then kept my eye closed and used a fan to help speed up dry time. 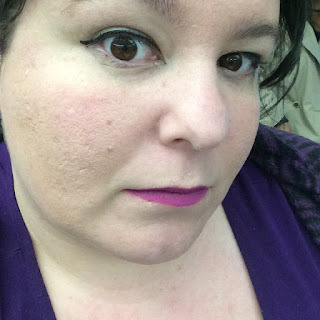 It dried quickly and was nice and dark even on my oily lids. I used this along with Nyx eye primer to help make it last and to try to avoid transfer on my hood. I found that it was harder to correct if you made a mistake (like I did on my left eye) even using the makeup correction qtip thing from Almay it just smeared more than it removed. I would say about an hour later I had begun to get transfer from my eye to the hood. You can see this in my photos. I took one right after lining my eye and then later after transfer occurred. 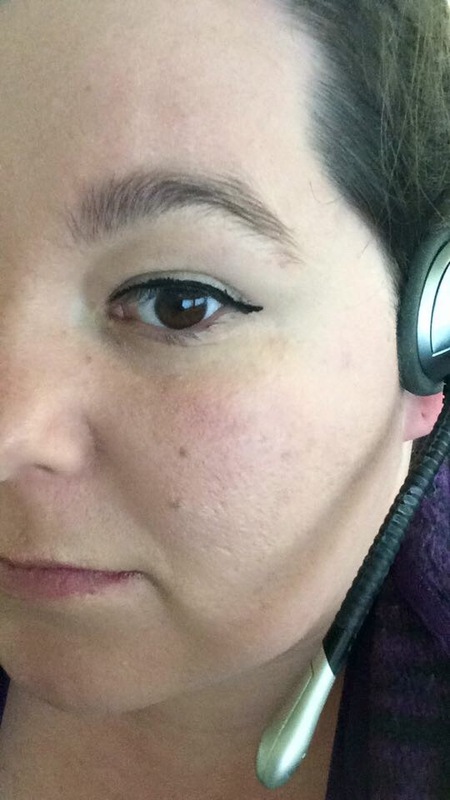 I do like this liner but I think it may not be the best for my eye type. This has me Sad as I was hoping this would be a great alternative to the Kat von D tattoo eyeliner that I have been staring at for some time. if you don't have hoods and oily lids this should work amazing for you. They have a website but I don't see the liner in there.